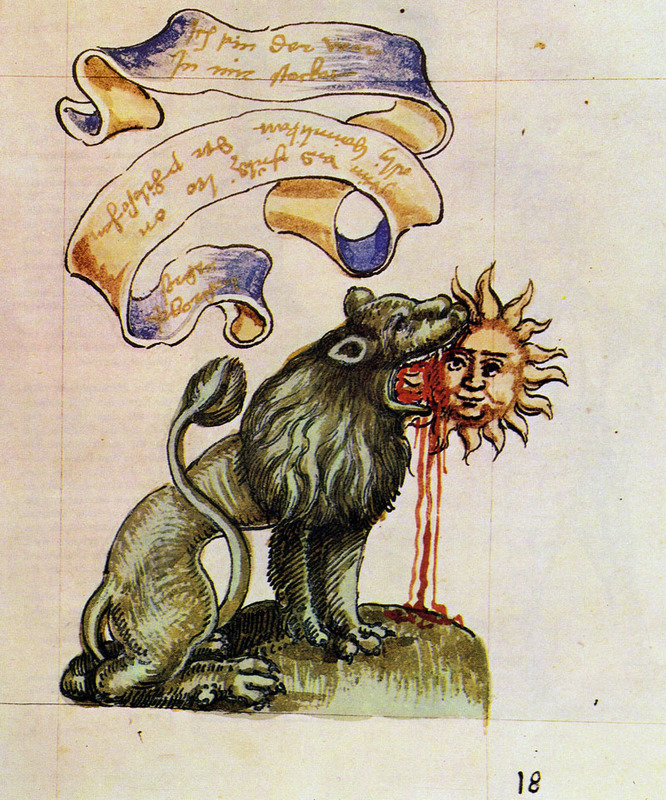 The Green lion eating the sun – physical alchemy or something else? There’s a famous alchemical work called the Rosary of the Philosopher’s, or Rosarium Philosophorum, which features 20 woodcut illustrations. They are very famous, having been printed and reprinted a number of times. It contains a number of quotes, real and otherwise, from earlier alchemists such as Geber, (pseudo-) Arnald of Villanova, Senior etc. Now, this text is often taken as being one about spiritual alchemy. The problem with that is that that general approach (espeically with regards to claims by Jung and other esotericists) has been discredited as regarding the actual position of alchemy in Europe in the16th century and earlier. Which leaves us with an interesting question – how can the green lion eat gold? And one obvious assumption – that the text maps onto physical operations. I should point out straight away that a lot of medieval alchemy is simply the author re-writing previous authors, changing the emphasis of the words and concepts used and inventing or bringing to prominence different names which may or may not cover the same substance or concept. Which makes finding the way through the texts rather difficult. The resin, according to a late medieval recipe, was mixed with oil, presumably olive or linseed, then added to the beeswax. 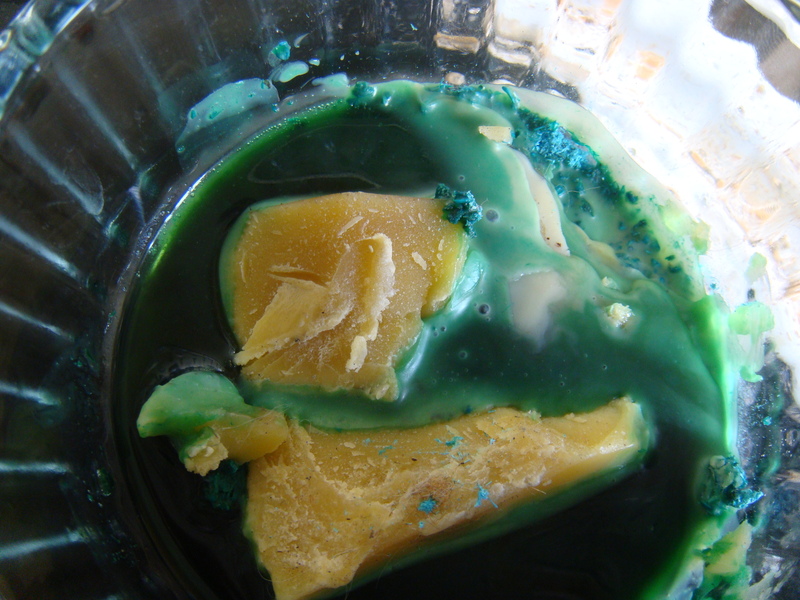 Here you see the blue verdigris (visible at top right) turning green when in the wax, which is good because I was getting a bit worried that all my blue verdigris, the kind formed by leaving copper sealed in a jar with acetic acid wouldn’t turn green, which is formed when air is allowed into the vessel with the copper and acetic acid. A lovely deep green it is too. Now all I need are some official documents and a seal to use on it.